Hello from sunny St Lucie! 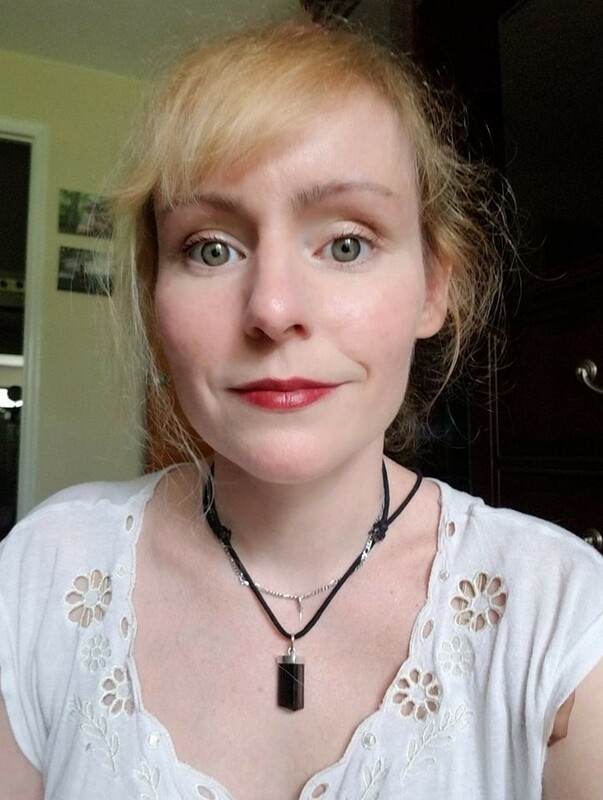 As a mother of three active aged children: a toddler, a preschooler and a middle schooler (they grow so fast!) it can be challenging to find things to keep them both occupied and learning. 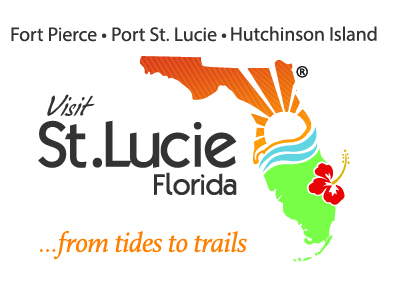 Luckily for us there are many educational, fun activities to do in St Lucie. 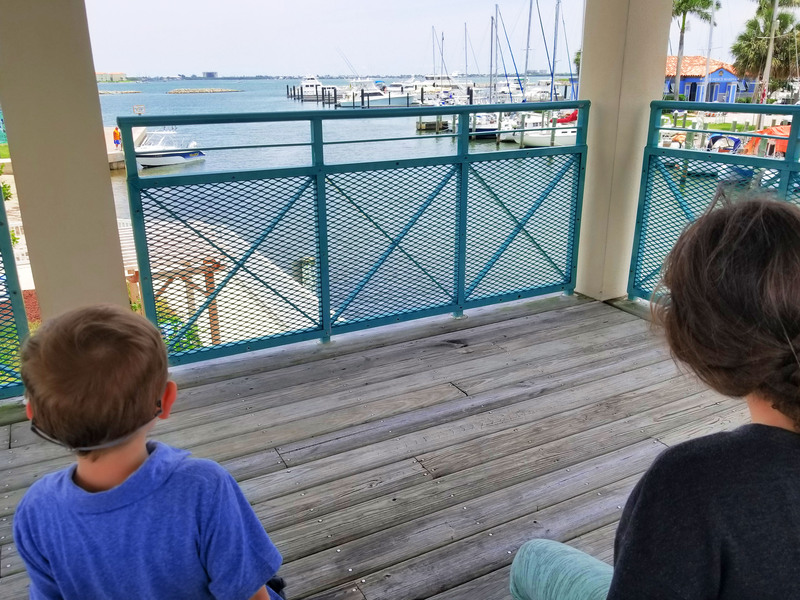 We recently checked out the St. Lucie County Aquarium and Manatee Observation and Education Center in downtown area of Fort Pierce. 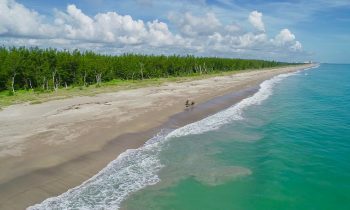 Fort Pierce is absolutely beautiful. 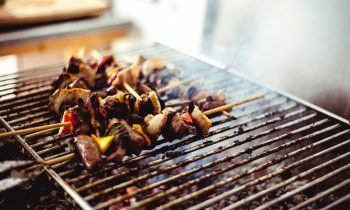 The city provides free parking and there are a ton of things to do including museums and dining right on the water front. Our first visit was to the Manatee Observation and Education Center and we were greeted by the sight of two manatees right from the center’s observation deck! Cillian, my youngest, immediately started waving and saying hi. There is something magical about manatees to children, and even adults! Upstairs is a lovely covered terrace which is a great place to watch for the gentle giants while having a snack. Downstairs you can take a picture in a manatee cutout which of course we all did in multiple configurations. 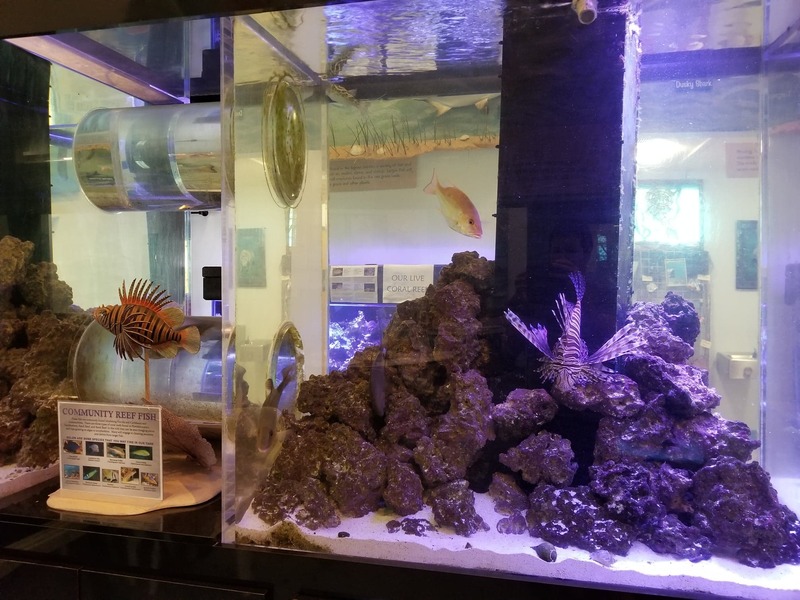 Inside the center were activities and displays including coral reefs and tanks displaying fish found in local waters in addition to the manatee info. Admission is free for 5 and under and over 5 is only $1 so it’s really an inexpensive thing to do with the whole family! Just over the Seaway Drive bridge was our second destination, the St. Lucie County Aquarium. The Aquarium is located at Museum Pointe Park at the base of the bridge and it features a playground and picnic pavilions. 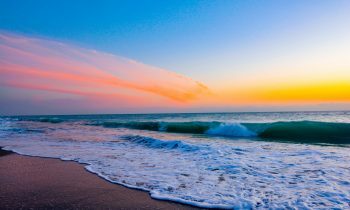 Just east of the aquarium, is a beach area perfect for kids. The aquarium features the Smithsonian Marine Ecosystems Exhibit which opened in 2000 after the Smithsonian in D.C. closed their 3,000 foot living reef exhibit. The center’s tanks have little benches that can be pulled out so even the smallest of your party can get a good view. While there, we learned that the creatures in every tank were from the surrounding Indian River Lagoon and after being on display for a while they are released back into the lagoon. 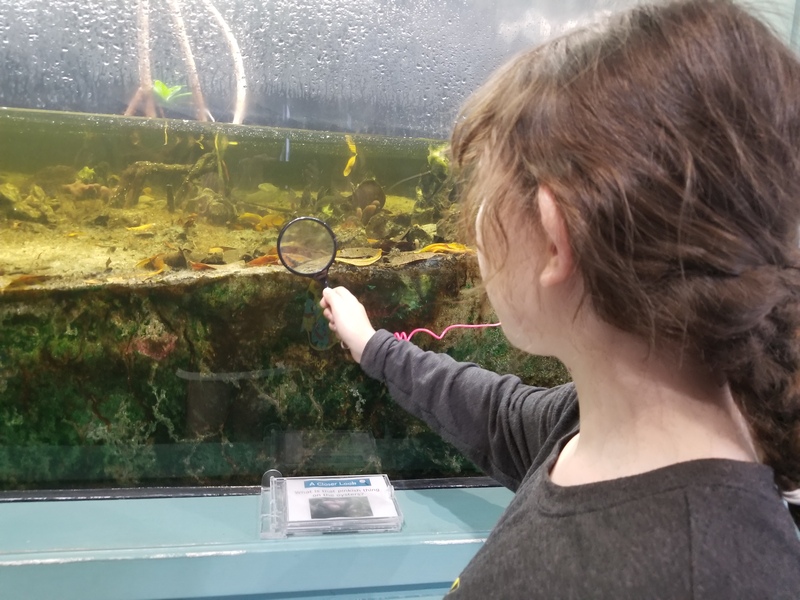 My eldest was especially interested in the lion fish on display and surprised to find out they are both invasive and were originally released pets that quickly grew in population due to their appetites and no natural predators. Ian, my 4 year old spent most of his time playing with the interactive displays and looking into the microscopes and the various turtle displays. My favorite display was the seahorse tank. 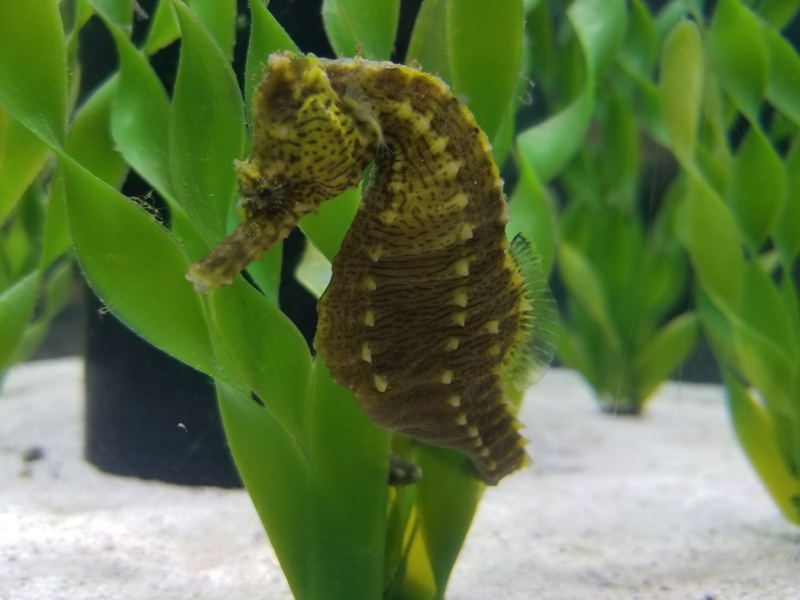 Both adults and baby seahorses clung to various things, including each other which was adorable! There is a touch tank where kids and parents can touch starfish, sea cucumbers, and watch hermit crabs scuttle. This was of course a huge hit with Ian and Alanna! 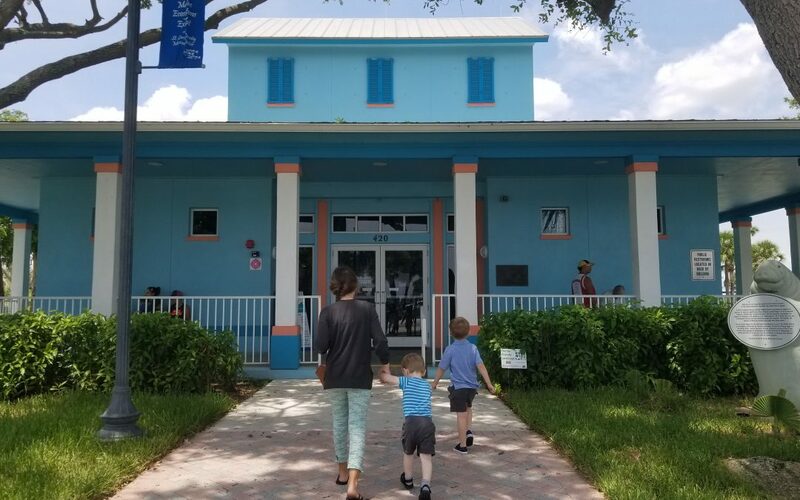 The St. Lucie County aquarium is a great way to spend an afternoon and their gift shop was full of fun things and super reasonably priced (which was great because the kids wanted everything). Admission to the aquarium is free under the age of 4, 17 and under $3 and $4 for adults. It really makes hopping between attractions super inexpensive and fun. Don’t forget to check out Museum Pointe Park on the way out! With beautiful views and a large interactive playground, it is not to be missed! 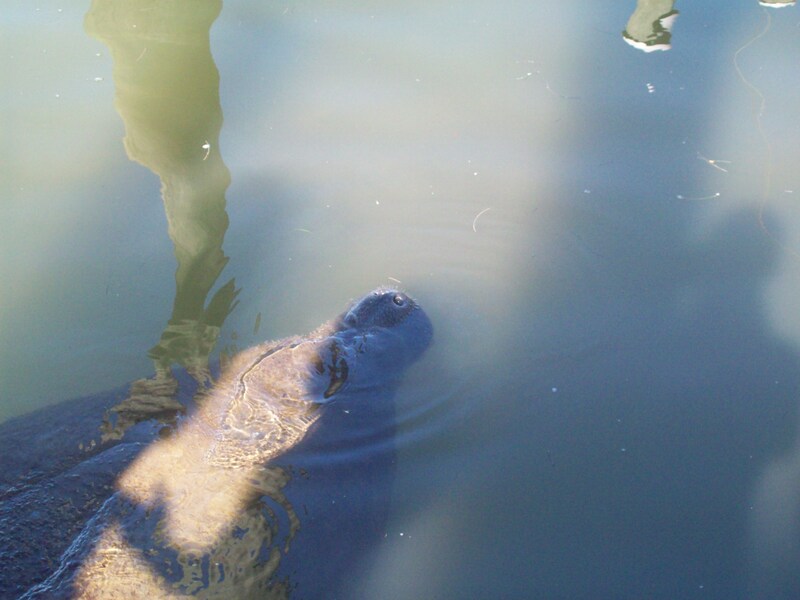 The Manatee Centers’ observation deck is a great place to watch for manatees but if you are super adventurous you can rent a kayak or do a boat tour and get even closer! Check the calendar for dates as it changes with the seasons! 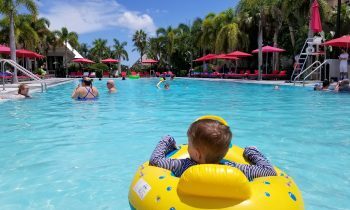 The St. Lucie County Aquarium has free admission on the first Tuesday of the month! Bring water, sunscreen and a picnic or snack and enjoy the beautiful Museum Pointe Park. The playground is right on the water so use sunscreen! Don’t limit yourself! There are so many attractions that are within such a short drive/ walk that you can make a day of seeing all the various attractions.